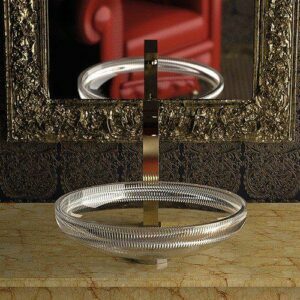 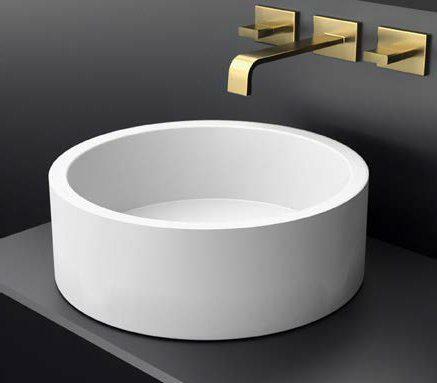 DE COSTE round countertop washbasin in stainless steel (inox 18/8). 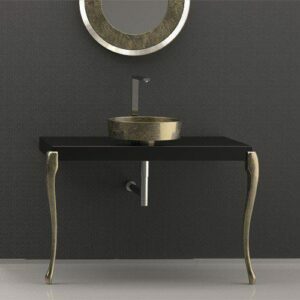 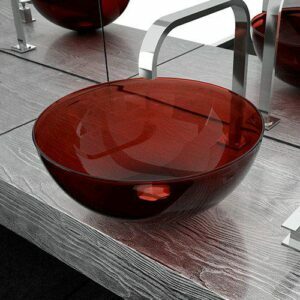 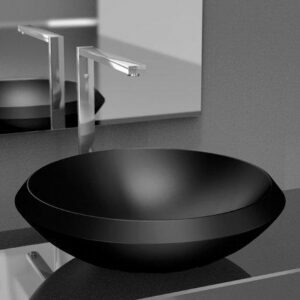 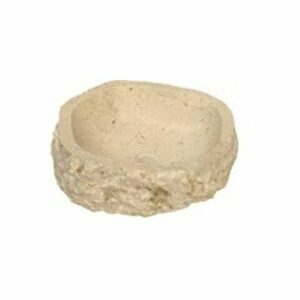 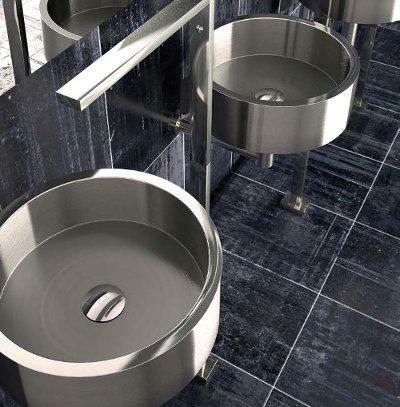 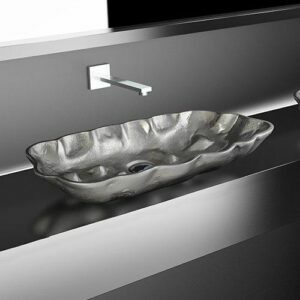 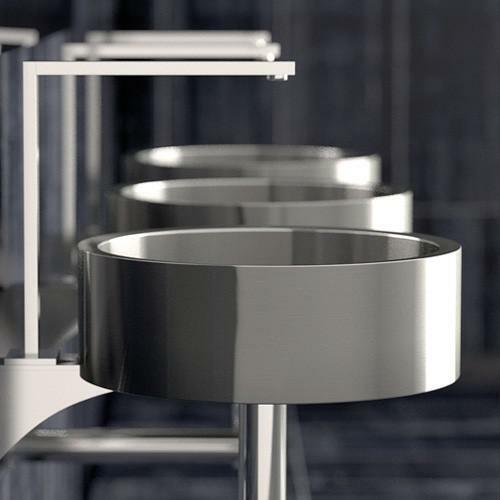 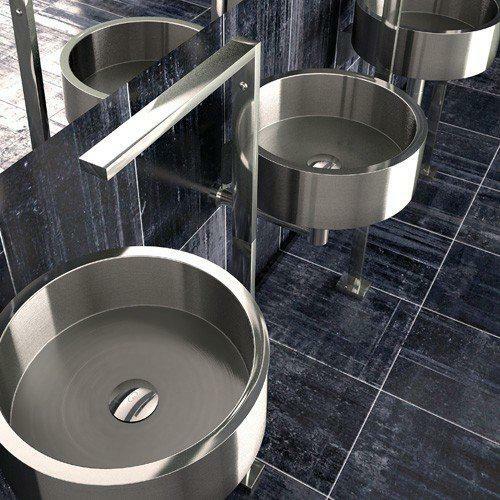 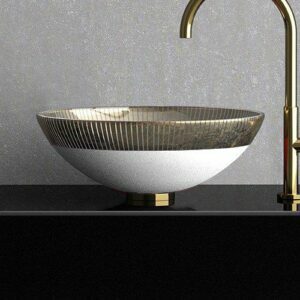 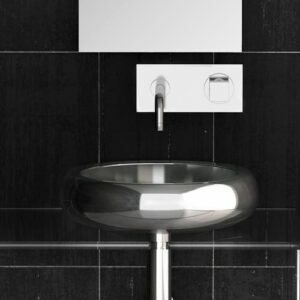 A three-dimensional washbasin of essential design, produced by a new technology, obtaining an extremely light product. 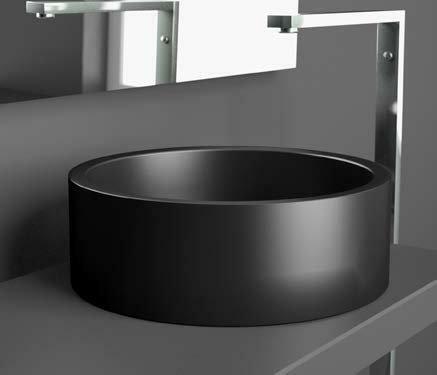 Various colour solutions: from the basic shiny white or black mat, to the stainless steel brushed finish. 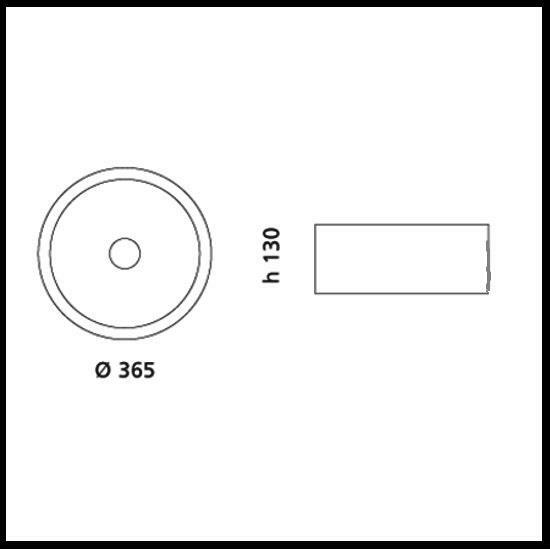 Dimension: Ø36,5 cm Height 13 cm.